Passing by Alabang-Zapote Road is now a chore. Well, yeah, it’s been a chore ever since. But here’s another reason to be wary of passing by the main Las Pinas highway (yes, we’re trying to discourage people to pass by the road so as to lessen traffic, hehe)–diggings at night! The diggings are spread all throughout the highway turning most areas of the highway into a one-laner. And we know we can’t have that in Alabang-Zapote Road. Hopefully, the diggings bring what they’re supposed to bring to Las Pinas residents–water. Hopefully, they clear the area once they’re done with it. A lot of small humps are being left by the trucks and diggings. 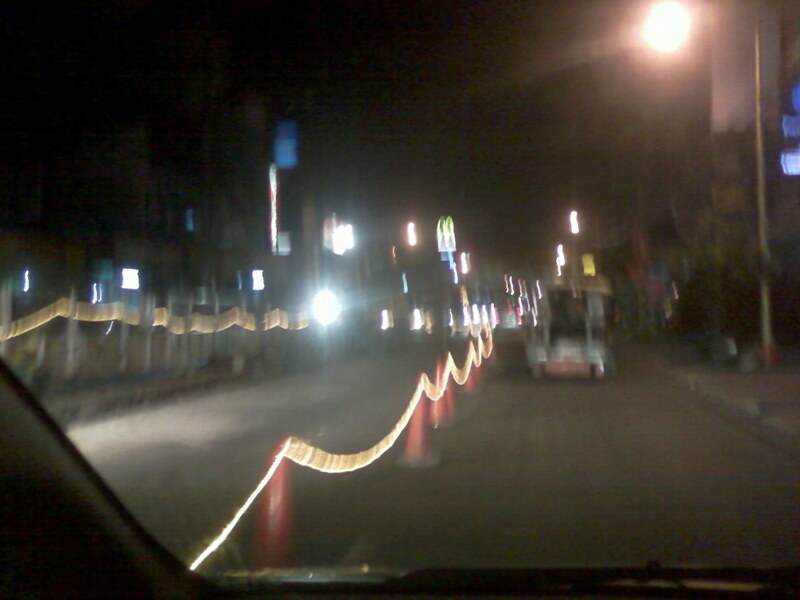 It’s like traveling on the moon when passing by Alabang-Zapote Road. Not that we’ve gone to the moon. But if you want to, you can try this road. Hopefully, they finish soon too. It’s Christmas season for Pete’s sake, why are all diggings/repairs being done this season?! Just be careful when passing by the highway, guys. Next story Are tricycles allowed on Alabang-Zapote Road?